A whole new world of hurt! Betrayed by Earth's heroes and exiled into outer space, the man-monster Hulk has landed on the distant planet Sakaar, ruled by the tyrannical Red King. 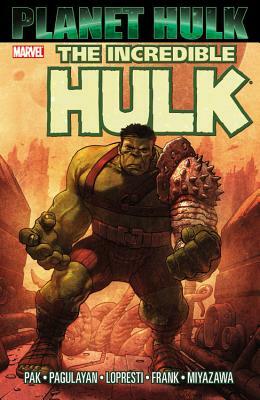 Sold into slavery, Hulk becomes the Green Scar, the planet's mightiest gladiator - but his new masters get more than they bargained for when he forges a bond of brotherhood with his fellow fighters: crafty insectoid Miek, the horrific Brood, wise rock-man Korg, shadow warrior Hiroim, noble-born rebel Elloe and her loyal guardsman Skee. Together, these gladiators start a revolution that could change their entire world - or destroy it!